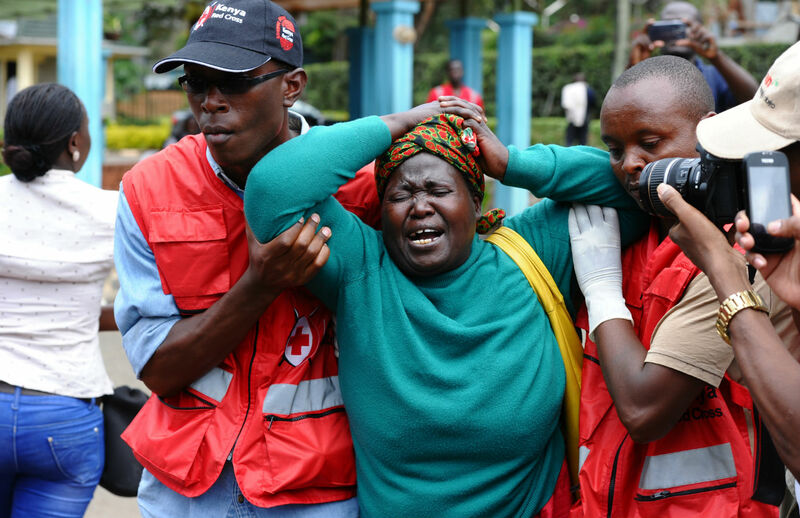 Nairobi—The April 2 al-Shabaab attack on a Kenyan university campus that at last count left 147 people dead was only the latest and most horrific of a string of similar incidents that began after Kenya invaded Somalia in 2011. The ostensible reason for that invasion was a series of kidnappings of aid workers and tourists by Shabaab militants that many Kenyans felt made their country look weak in the eyes of the world. Most Kenyans appeared delighted with that first military action since independence, and expressed such jingoistic sentiments on social media and in letters to the editor that I couldn’t help reflecting that everyone, not just Americans, loves a good war. Moreover, I got the feeling that it wasn’t just the Shabaab attacks that Kenyans wanted to avenge; when I was first living here many years ago, the Somali bandits known as shifta roamed northeastern Kenya seemingly at will, and while the shifta menace eventually subsided, it’s a well-remembered bit of history. Here, finally, was a chance once and for all for Kenya to show that it couldn’t be threatened or pushed around, especially not by Somalis, and, with luck, to also establish some kind of buffer state in Somalia’s southern region. But things didn’t work out as planned. After the Kenyan military operation stalled, despite some air assistance from the United States, Nairobi announced that its troops were joining the UN peacekeeping force in Somalia, where they remain. At the same time, al-Shabaab began recruiting youths in the slums of heavily Muslim Mombasa and elsewhere along the Kenyan Coast, staging retaliatory attacks which by now total well over 100. Until the campus attack in Garissa, the most gruesome to date was the 2013 attack on the Westgate Mall, which killed sixty-seven people. But since then, there has been no letup, and in fact the audacity and the cruelty of the attackers have if anything grown: last November, Shabaab militants, now firmly allied with Al Qaeda, halted a busload of people in northern Kenya and singled out twenty-eight Christians, many of them teachers and health workers, for summary execution. The nation’s TV screens and newspapers showed pictures of the neatly dressed bodies laid out by the side of the road. In the immediate aftermath of the latest attack in Garissa, the reactions of the public and elected officials were predictable: calls for yet more crackdowns on “militants,” along with demands for tighter security and an insistence that Kenya should “stay the course” in Somalia. That has a familiar ring, too: in Vietnam, US officials met every disaster with calls for more troops and more of the same tactics that were already a proven failure. I’m not sure what will happen here now, but I am wondering whether the few timid suggestions of late for a rethinking of Kenya’s policy toward Somalia will either grow louder or be silenced. Last month, Aden Duale, a prominent Member of Parliament who comes from Garissa and who is of Somali origin (as are a substantial number of Kenyans) said in an interview on the BBC’s Somalia service that he thought it was time for Kenya and al-Shabaab to start talking to each other in an effort to end their differences. He quickly backtracked, after being attacked viciously on social media and by some other politicians. But I’ve been noticing that since then, a few others have also raised the possibility of seeking a nonmilitary solution to the current situation. Just a few days ago, one Kenyan commentator observed how many other seemingly hopeless situations in the world have been resolved once the opposing sides—such as Mandela and de Klerk in South Africa—sat down to talk. “Somalia will always be our neighbor,” he wrote, which alone was enough reason to try to find a solution; but there was also the question of what the present state of war was doing to Kenya itself. “We must resolve the insecurity problem soon if we do not want to risk sliding into anarchy,” he warned. My guess is that it will take a long time before Kenyan officials even consider trying a new tack. There are now too many bodies, and there is too much anger. Instead, the latest initiative, announced even before the Garissa attack, was to build a wall along the border with Somalia.